Another conservative has gamely stepped up to the challenge of arguing that Romneycare is to Obamacare as day is to night, up is to down, virtue is to vice, liquid is to solid, etc., etc. I suppose someone had to try again after Ann Coulter failed so miserably. It's not an enviable assignment, and I hope National Review paid Douglas Holtz-Eakin, a former director of the Congressional Budget Office who is now president of the American Action Forum (a think tank chaired by Republican hack Fred Malek), twice its usual word rate to make his case. This is hardship duty. $500 billion in new taxes on investment income, medical devices, health insurance companies, and “Cadillac” health-insurance policies. Massachusetts did not have a dangerous Independent Payment Advisory Board, misguided Patient-Centered Outcomes Research Institute, futile Center for Medicare & Medicaid Innovation, and myriad other agencies, boards and bureaucracies. Massachusetts did not rely on budget gimmicks like the CLASS Act, student loan “savings,” and mythical Medicare cuts to squeeze past the finish line. 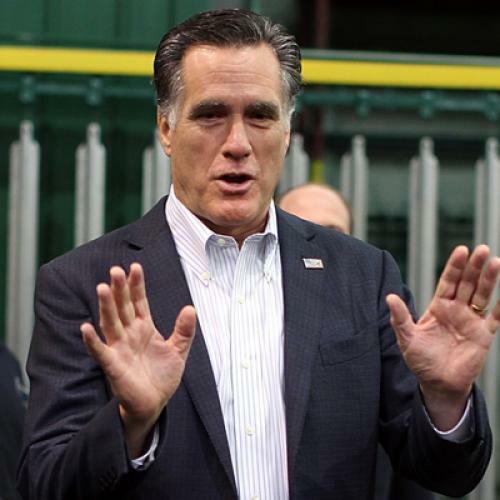 Mitt Romney loves to talk about how Romneycare didn't raise taxes, as if increasing tax liability while sucking on the federal teat constituted thrift. As of fiscal year 2010 Romneycare had increased Massachusetts health care spending by about $700 million, with roughly half paid by the federal government through the Medicaid program and about half paid by the state. (For what it's worth, Michael Cannon of the Cato Institute says this calculation lowballs the actual cost by a factor of 19. Incidentally, no "budget gimmick" in Obamacare can compete with Romneycare's getting the feds to pick up half the tab.) After Eakin gets done complaining about all the awful revenue-raising and "dangerous" cost-cutting features of Obamacare that are absent from the Massachusetts law, he then complains ... that health care spending under Romneycare is out of control. Which is a bit like the old joke where one person says "The food in this restaurant is terrible" and another, agreeing, says, "And such small portions!" I could list many other differences between Obamacare and Romneycare. Obamacare begins with an "O," for instance, and Romneycare begins with an "R."
Ezra Klein, who is nominally the target of Holtz-Eakin's salvo, replies at length in his blog. (Among other things, Klein says Holtz-Eakin miscalculates the health care cost increase in Massachusetts.) But if you're a Republican, you don't care what Klein, a card-carrying member of the lamestream media, thinks. You care what conservatives think! Alas, as with Coulter, the right doesn't appear to be buying it, if this American Spectator blog post by W. James Antle III is any indication. The inescapable paradox remains that the Obama policy most loathed by Republicans was invented by the person most likely to be the Republican presidential nominee. It's Stee-rike One for Coulter and now Stee-rike Two for Holtz-Eakin. Who wants to bat next?